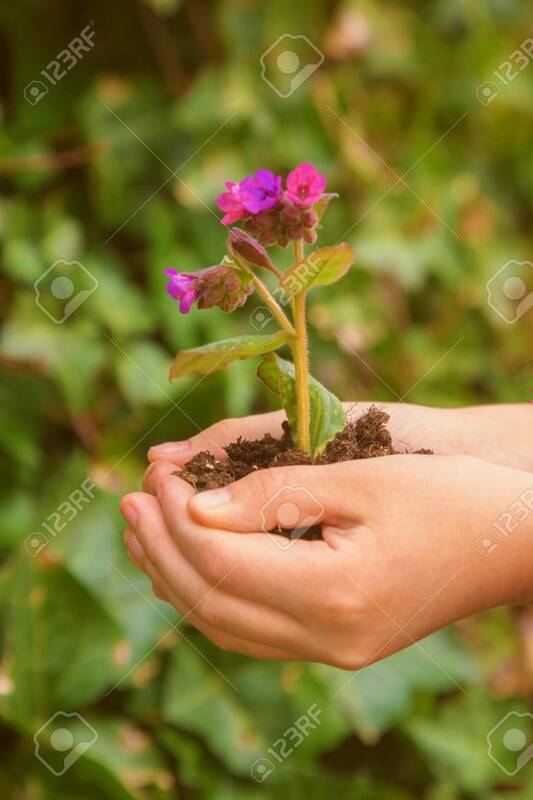 The Child Is Holding A Young Flower Growing In The Ground. The Child Is Going To Plant This Flower. Close-up Of Baby Hands And A Growing Flower. Green Planet Earth, Ecology, Caring For Plants Concept. Lizenzfreie Fotos, Bilder Und Stock Fotografie. Image 99364529. Standard-Bild - The child is holding a young flower growing in the ground. The child is going to plant this flower. Close-up of baby hands and a growing flower. Green planet Earth, ecology, caring for plants concept. The child is holding a young flower growing in the ground. The child is going to plant this flower. Close-up of baby hands and a growing flower. Green planet Earth, ecology, caring for plants concept.